Read the harrowing story of the survivors of the "grandaddy" of all hurricanes. 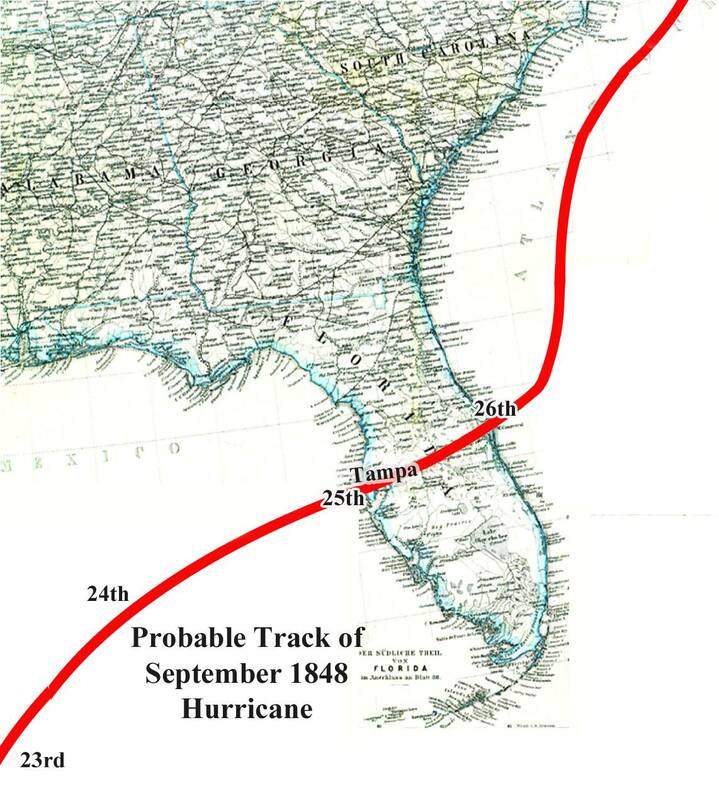 The Tampa Bay 1848 hurricane was also called the 1848 Great Gale. It was the most severe hurricane to affect Tampa Bay, Florida at this time. The other major hurricane which made a landfall in Tampa Bay area was in 1921. The 1848 hurricane took place from September 23rd to 25th, 1848, and caused damage to east coast areas around September 26th. It reshaped many coastal areas and destroyed the few human habitations and works in Tampa Bay Region. There are no meteorological records of wind speeds, barometric pressures. The storm surge is considered to be consistent with a hurricane of Category 4. A survivor recalled the storm as a granddaddy of hurricanes. The hurricane started forming in central Mexican Gulf area and moved northeast before making landfall in Clearwater, Florida. After this it crossed Florida peninsula before exiting in Cape Canaveral. After it moved into extreme W. Atlantic, it continued northeast to Grand Banks area of Newfoundland. Fort Brooke had winds of 116km/h, with barometric readings around 954mb. The hurricane produced highest storm tides in the Bay and water rose and fell 4.6 m in 6 to 8 hrs. Tides inundated the Pinellas County and covered all the low-lying elevations, submerging most of Interbay Peninsula, in South Tampa where MacDill AirForce Base presently resides. “The Old Tampa and Hillsborough bays met.” General Wade who was the commander at Fort Brooke, talked about massive destruction of wharves, storehouses and public buildings. The assistant surgeon of the fort - B.P.Curry, reported destruction of the hospital. Only 5 houses remained standing and all the rest were damaged in Tampa. The storm wiped out citrus crops and destroyed main houses in the plantation at St. Helena and forced people to seek shelter on the elevated Tocobaga garbage dumps, despite which they were nearly drowned as storm tides eroded major parts in the shell mounds. The strong winds felled almost all trees along Indian Rock Road of Largo. 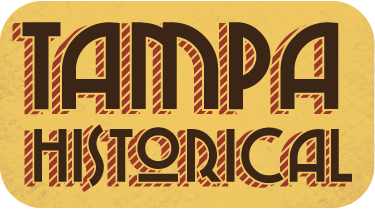 Michael Bouth, “The 1848 Tampa Bay Hurricane,” Tampa Historical, accessed April 24, 2019, http://tampahistorical.org/items/show/74. Lin, N. &. (2016). Grey swan tropical cyclones. Nature Climate Change, 6(1), 106. Weisberg, R. H., & Zheng, L. (2008). Hurricane storm surge simulations comparing three‐dimensional with two‐dimensional formulations based on an Ivan‐like storm over the Tampa Bay, Florida region. Journal of Geophysical Research: Oceans, 113(C12).